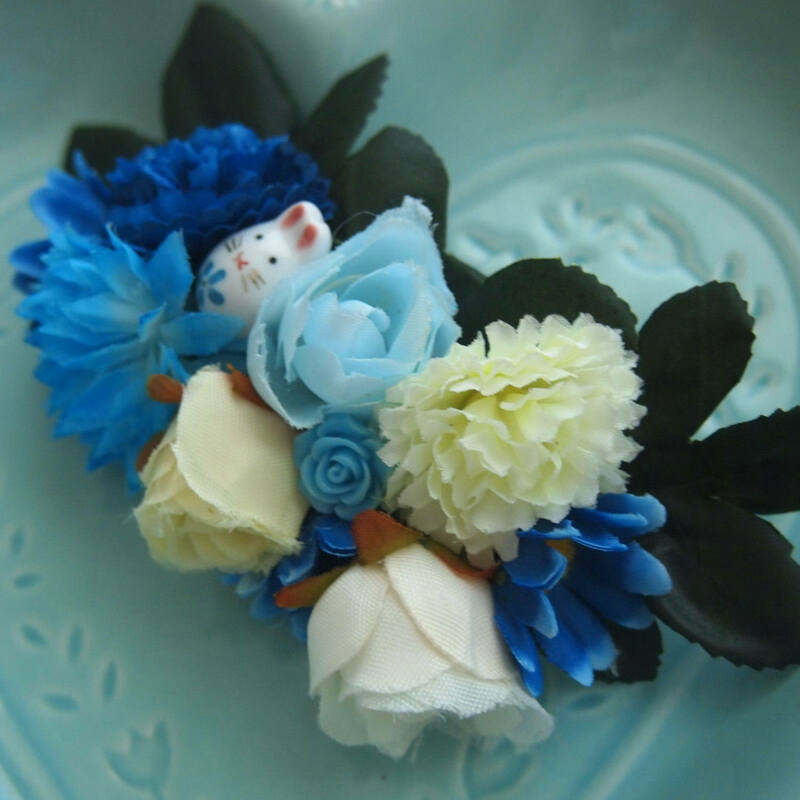 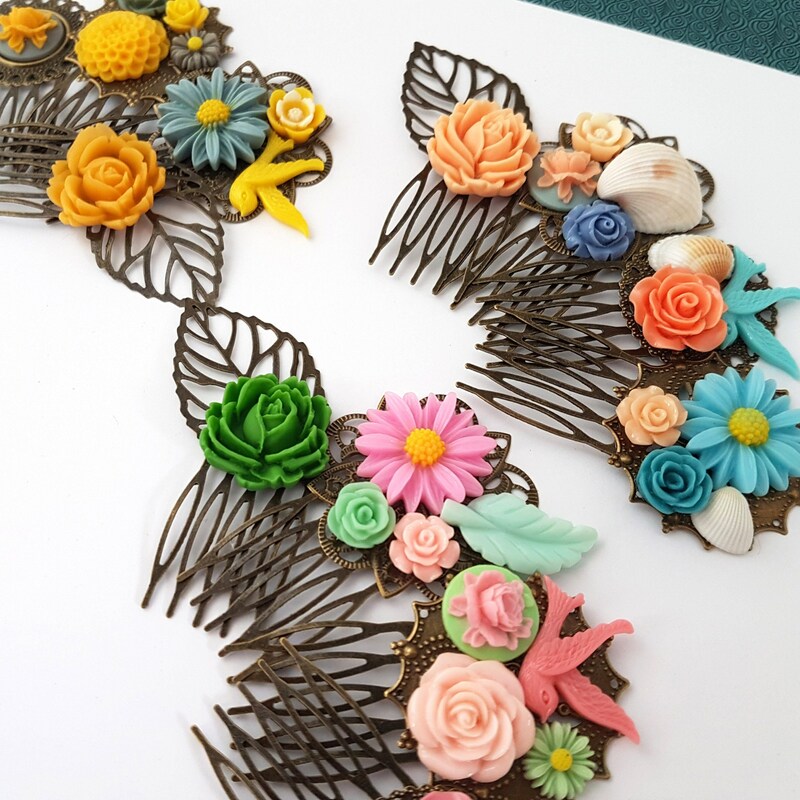 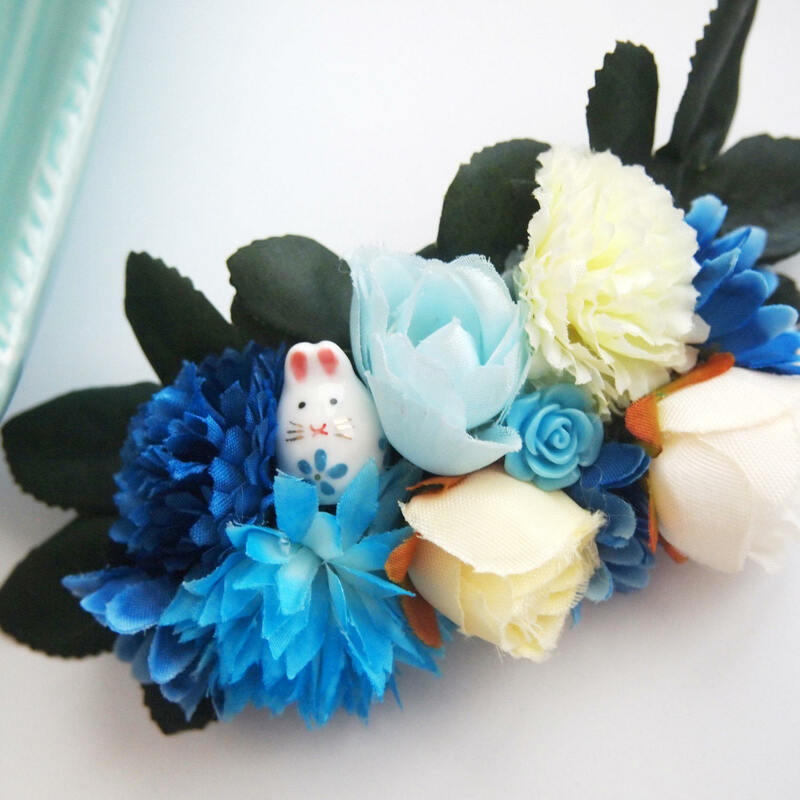 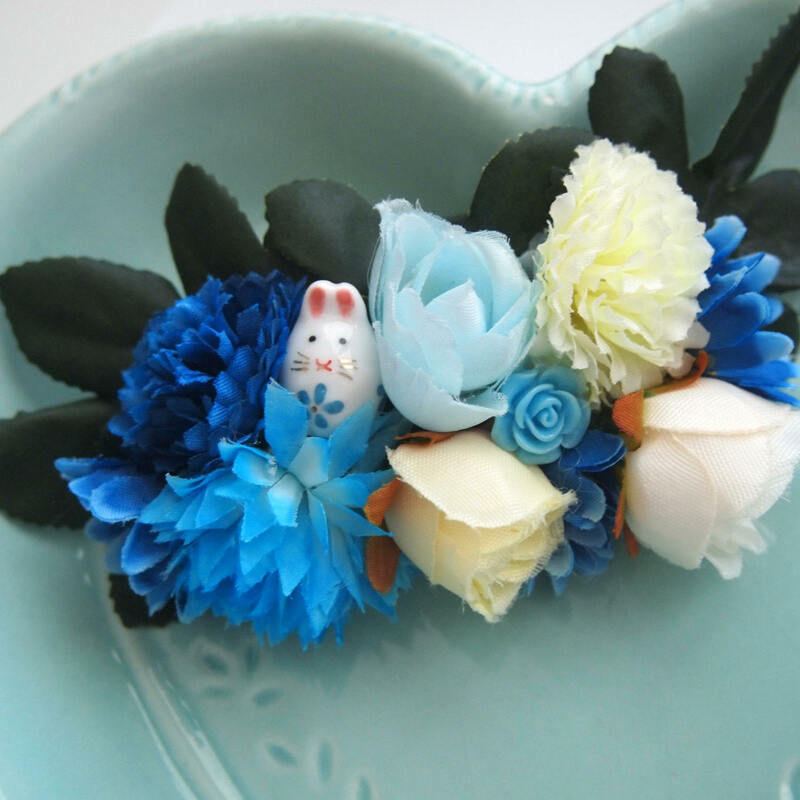 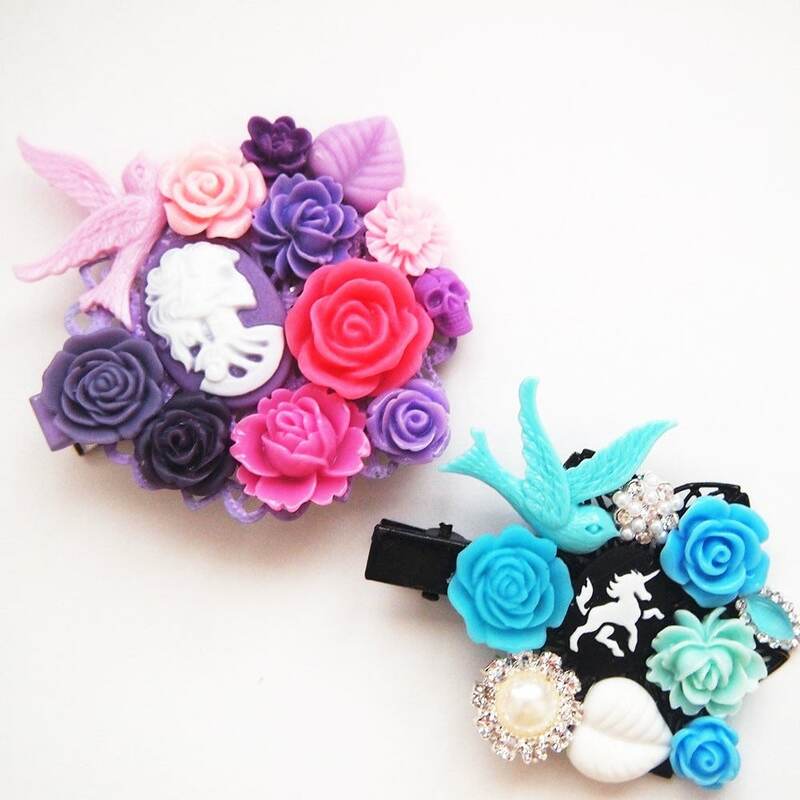 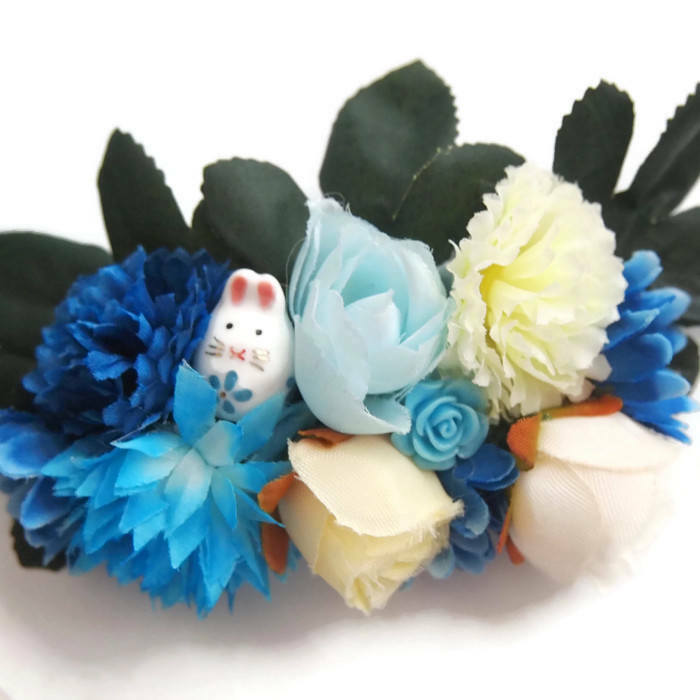 An adorable bunny is hidden in these blue flowers which are attached to a bronze barrette. 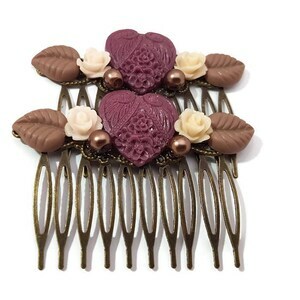 It would be a great addition to your wardrobe or even for your wedding. 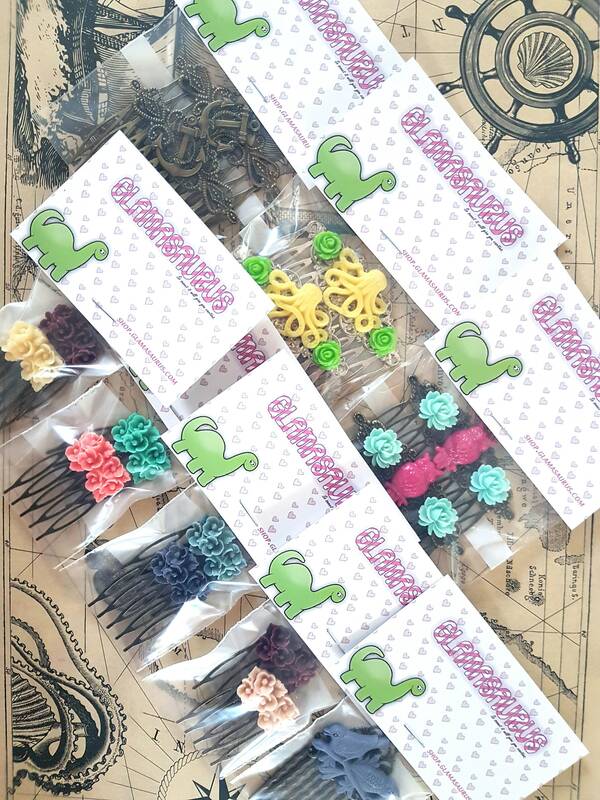 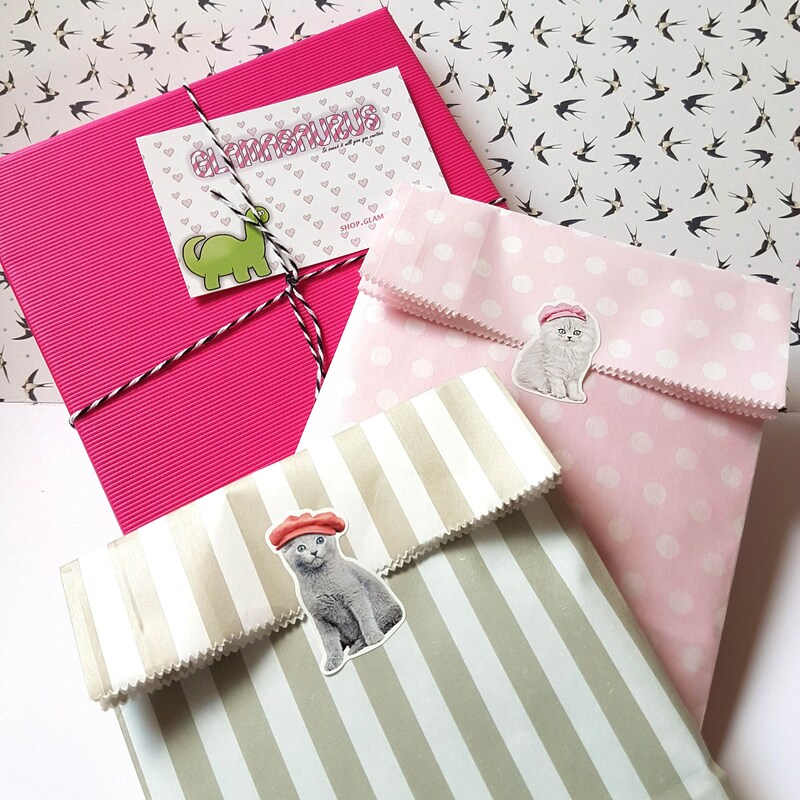 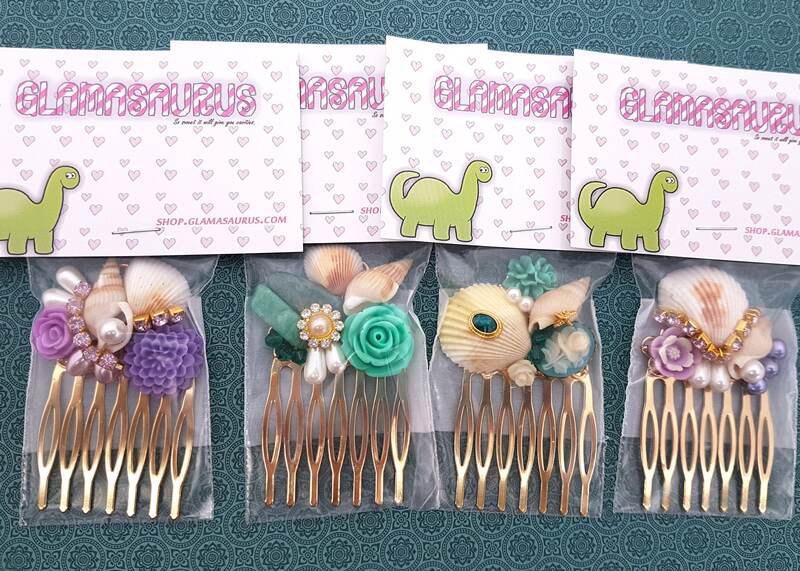 The last photo shows the barrette these are built on and some other designs. 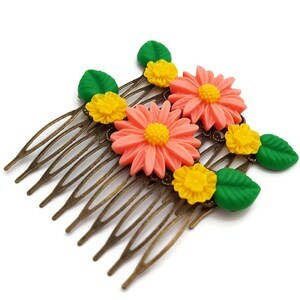 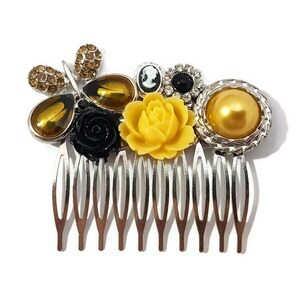 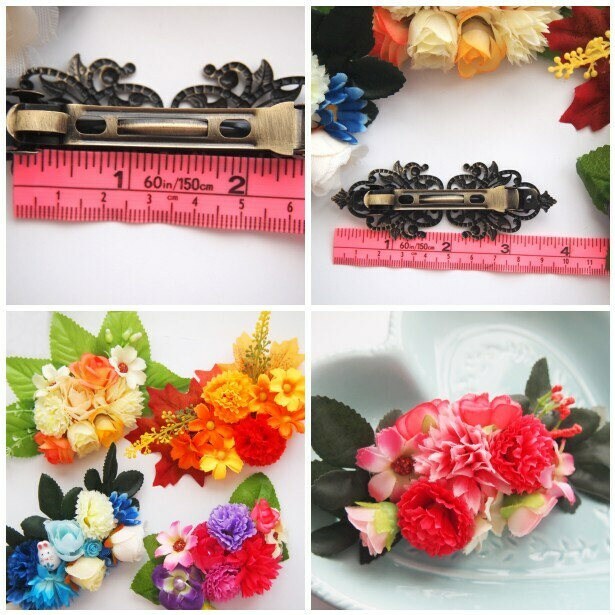 The barrette alone measures 6.5cm or 2.5" . 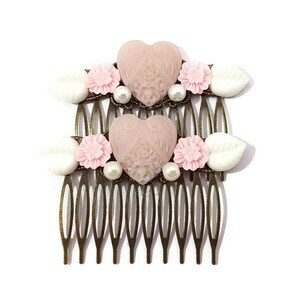 This is definitely a statement piece.